Music licensing rests at the heart of our industry. Intellectual property laws have defined contract design and in part determined the value of art. Copyrights, to oversimplify, reflect the finite claim of ownership to a tangible idea—stories, films, lyrics, recordings. For another person or entity to use what you own, they must first obtain permission—the license, or right—to do so. This exchange tends to be monetary and varies in form. Label deals, television synchs, streaming and radio spins maintain legal standing by adhering (in theory) to IP regulations. This realm of oblique language and complex formulas requires patience and persistence. Artists and teams who pursue key knowledge regarding music rights will only benefit. They will likely find themselves better equipped when negotiating or strategizing ways to maximize earnings. 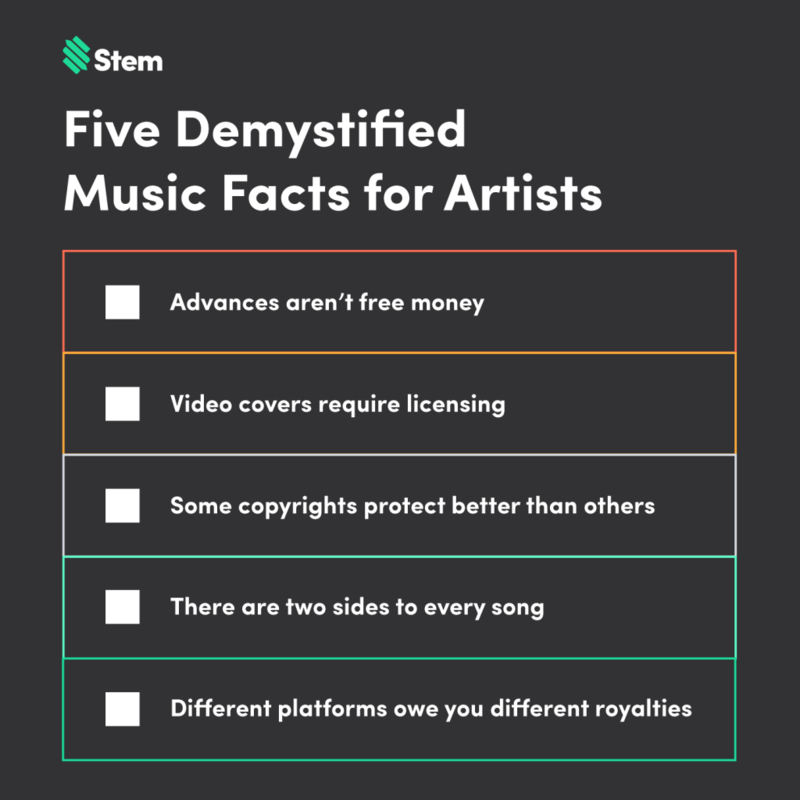 Keep scrolling to read five demystified facts every artist should know, ranging from masters and compositions to music licensing and advances. Spend more time on our blog for deeper dives into the realms of publishing, cover songs and artist management. In the United States, once an idea becomes reproducible (e.g. an iPhone memo, an Ableton file), you can claim to own the copyright. This is true of an original work if you can clearly prove the following. However, to actually file suit against an infringer, you must possess an added layer: recognition from the U.S. Copyright Office. Fortunately, attaining this added legitimacy is straightforward. ‘Artist’ serves as an umbrella term for ‘performer’ and ‘writer.’ Resultantly, two distinct business sectors exist within the ‘music industry’ catch-all. Some artists might sing and write their own songs, others might not. Regardless, to maximize the fruits of your labor, we recommend familiarizing yourself with both. Even as the music industry continues to consolidate around a handful of power player streaming services, payout systems can differ between platforms. Below is a high-level breakdown of what royalty types you should expect to see from different companies or formats. A record deal does not inherently warrant fear or joy. Labels, however vilified, tend to consist of music lovers. Some contracts play fair, plenty fall short of ideals, but almost all of them involve one thing: advances—upfront money provided by the company to the artist. Signings, in public, appear celebratory, as they ideally should. Usually, if press members can include the word “million” in a write-up, headlines will follow the announcement that so-and-so signed to XYZ for an impressive dollar amount. Lots of good can come from a label’s support. However, advances come with several commonplace misconceptions worth clarifying. Artists create covers when they perform or record someone else’s lyrics and melodies. Say you record a demo of yourself singing “Blackbird,” written by Paul McCartney and the late John Lennon. 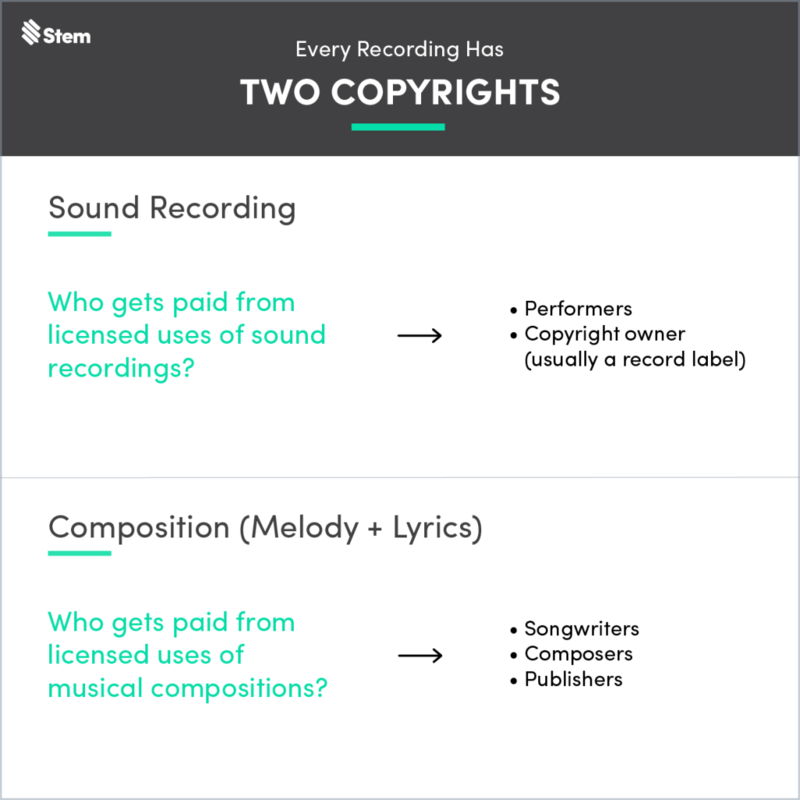 To legally record Lennon and McCartney’s composition and commercially release it, the record owner (you, and your label if you have one) must compensate the writers for the right to reproduce their work. Master owners have the right to reproduce compositions when they purchase a mechanical license. Without further ado, here’s what you need to know about it. No Up-Front Costs – Instead of requiring you to pay the $10 fee-per-cover up front, the cost will instead be split between the royalties that you and your collaborators earn on that song. Auto-Renewing Licenses – No need to keep track of how many downloads you have left on your license. Once you hit the limit, Stem will automatically renew your license for you. To get started on distributing a cover song via Stem, simply log in to your account and upload content. Releasing a cover video complicates things. Performers must obtain a synchronization license when audio meets video. Here’s what you should know about sync. We hope this article helps clarify common points of confusion. For more tips, tricks and insights about making it through the music business, visit Stem’s blog.